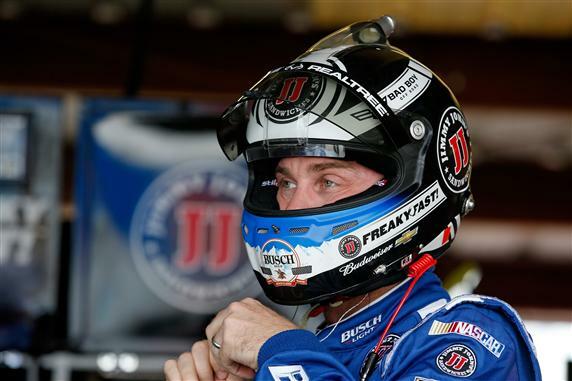 Kevin Harvick finds himself in poor position in the Chase for the NASCAR Sprint Cup following his 38th-place finish at Charlotte, caused by a blown engine. He’s been able to overcome Chase adversity by winning in a dire situation in each of the past three seasons: New Hampshire this year, Dover last season when he finished championship runner-up and Phoenix in 2014 on his way to the NASCAR Sprint Cup Series championship. Right now, Harvick sits last in the Chase’s Round of 12 standings – eight points behind Denny Hamlin on the cutoff line, while also trailing three other drivers for the final spot in the Round of 8. He’ll try to produce another stellar performance under pressure in Sunday’s Hollywood Casino 400 at Kansas Speedway (2:15 p.m. ET on NBC) where he has logged one win (fall 2013) and three runner-ups in his last six races. Harvick doesn’t believe he has to win at Kansas or the next race in Talladega to advance like he has had to do in the past.